You give excellent recs, yay! And that really does sound like a good school. Also, I've been wanting to send you this picture for ages, which is a bit odd, so sorry? But I thought you might like it? 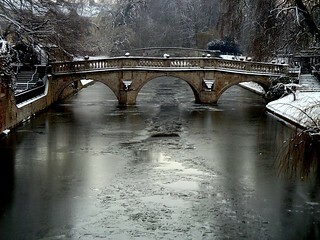 It was so cold two years ago that the river froze and it's a pretty good shot and I'll stop now.